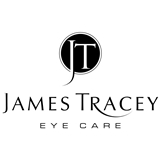 James Tracey Eye Care (New York) - Book Appointment Online! At James Tracey Eyecare you will find a caring team of professionals dedicated to providing high quality personalized eye care for the whole family. We value our patient relationships and strive to improve your quality of life and vision wellness through uncompromised service and state-of-the art technology. The staff of James Tracey Eyecare are a close-working team dedicated to meeting the vision care needs of our patients. Dr. Chau was knowledgeable, efficient, and comprehensive in her exam. I would recommend her to others. My only criticism would be the wait time. I went during work, so it would have been ideal to be in and out in a half hour. My appointment (eye exam) took 1 hour.